The Fine Art of Children’s Book Illustration will present the work of several of Wisconsin’s most accomplished illustrators of children’s books. The exhibition features work by Nancy Ekholm Burkert, Laura Dronzek, Lois Ehlert, Renèe Graef, Kevin Henkes, David McLimans, and Ellen Raskin. Includes panel discussion with artists Nancy Ekholm Burkert, Laura Dronzek, Lois Ehlert, Renée Graef, Kevin Henkes & David McLimans. Moderated by Kathleen T. Horning, Director, Cooperative Children’s Book Center, UW–Madison. Panel begins at 2:30 pm in Wisconsin Studio, directly across from the James Watrous Gallery. Reception is held in conjunction with the 2009 Wisconsin Book Festival. Sunday, November 8, 2:00 pm, Gallery Talk by Ginny Moore Kruse, Director Emerita, Cooperative Children’s Book Center, UW–Madison. Sunday, November 8, 1-3:00 pm, Gallery tour for families followed by a diorama workshop at the Madison Children’s Museum. Lois Ehlert will be featured in the Preschool Storytime program at the branch libraries this fall. Coloring sheets and a book display related to the show will be featured at the Central Library. For more information, visit www.madisonpubliclibrary.org. This fall, fourth and fifth grade classes at Glendale Elementary School in Madison will create their own illustrated books based on their visions for the future. November 17-January 8, 2010: Exhibition of selected artworks from the project will be on view in the Playhouse Gallery at the Overture Center for the Arts. November 28, 3:30 pm: Students will read selections from their books on the Rotunda Stage at Overture. The James Watrous Gallery staff thanks the artists for their time, energy, and loan of artworks to this exhibition. 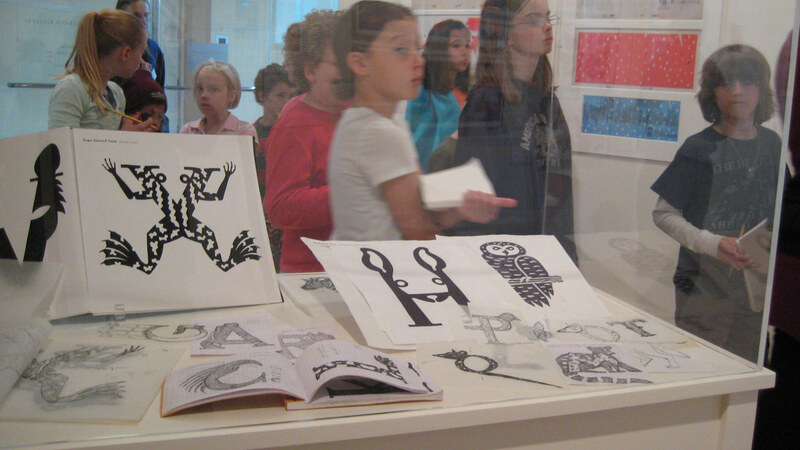 We also thank the Milwaukee Public Library and the Milwaukee Public Museum for loaning artwork, as well as the staff at the University of Wisconsin–Madison’s Cooperative Children’s Book Center, especially Director Kathleen T. Horning and Director Emerita Ginny Moore Kruse, for their valuable insight and assistance. We would also like to thank Pat Dillon, Faith Miracle, and Phil Hamilton, Professor Emeritus, Graphic Design, UW–Madison. The James Watrous Gallery of the Wisconsin Academy of Sciences, Arts and Letters is devoted to Wisconsin artists, Wisconsin art and craft history, works owned by Wisconsin collectors, and exhibitions that bridge the sciences, arts, and humanities. It is a program of the Wisconsin Academy of Sciences, Arts and Letters, an independent, nonprofit membership organization that connects people and ideas from all areas of knowledge and all walks of life to advance thought and culture in our state. This exhibition is supported in part by the Pleasant T. Rowland Foundation. Additional support comes from the Wisconsin Arts Board with funds from the State of Wisconsin and the National Endowment for the Arts; by a grant from the Dane County Cultural Affairs Commission with additional funds from the American Girl’s Fund for Children, the Evjue Foundation, and the Overture Foundation; by Stephen & Melanie Watrous; by William & Lynne Watrous Eich; by Tom Watrous & Suzanne McKegney; and by Bruce Jacobs. Ongoing support comes from DoubleTree Hotel-Madison and Robert & Carroll Heideman. The Wisconsin Academy thanks these sponsors for their generous support.